The adidas NMD is constantly receiving new makeovers. Last month, we took an early look at a new City Sock 1 colorway, which added a brand timeline to a simple look. Now, we know it will release as part of a pack, as the triple white colorway recently emerged. The adidas NMD_CS1 is a fan favorite of the Nomad franchise. First released in 2016, the sleek laceless shoe made waves due to its comfort and stylish looks, selling out everywhere with each new release. Because of its popularity, the original iteration of the City Sock can be somewhat difficult to find, as pairs are either worn or carry a hefty deadstock price tag. Luckily, adidas is giving us another shot at the coveted silhouette with a bit of added history to the design. 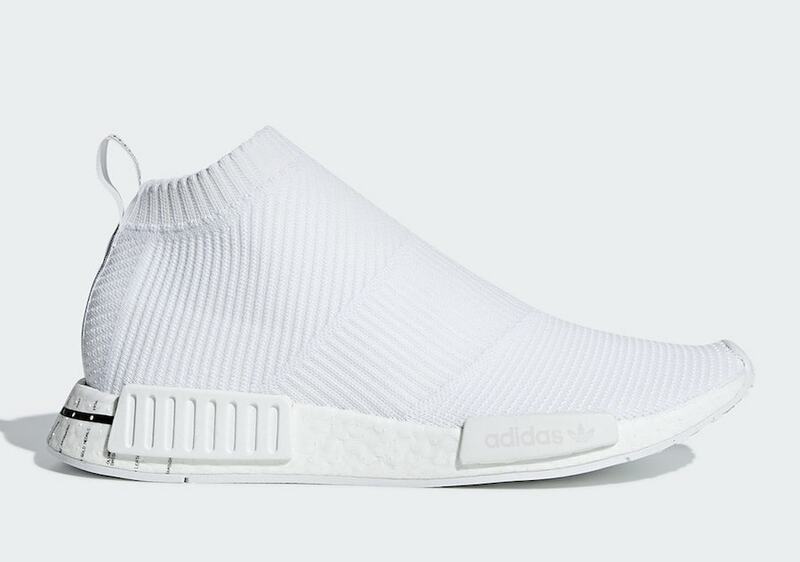 The new look for the adidas NMD_CS1 is a bit of a departure from previous releases. Thanks to a clever branding idea by the Originals, this new colorway features a comprehensive timeline of the brand’s history scrawled across the heel of the Boost midsole. 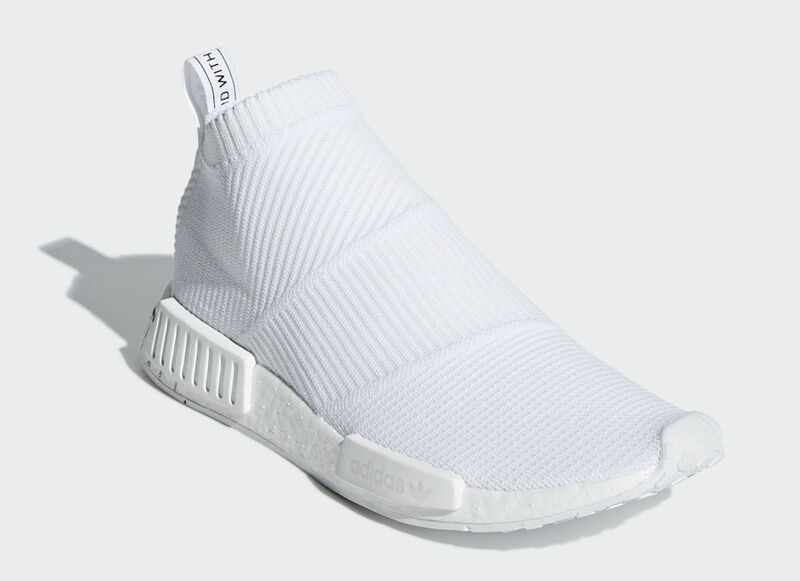 Naming important silhouettes and branding changes throughout their nearly 70-year story, the new colorway is based on a simple triple white Primeknit design, previously seen in other iterations of the NMD_CS1. 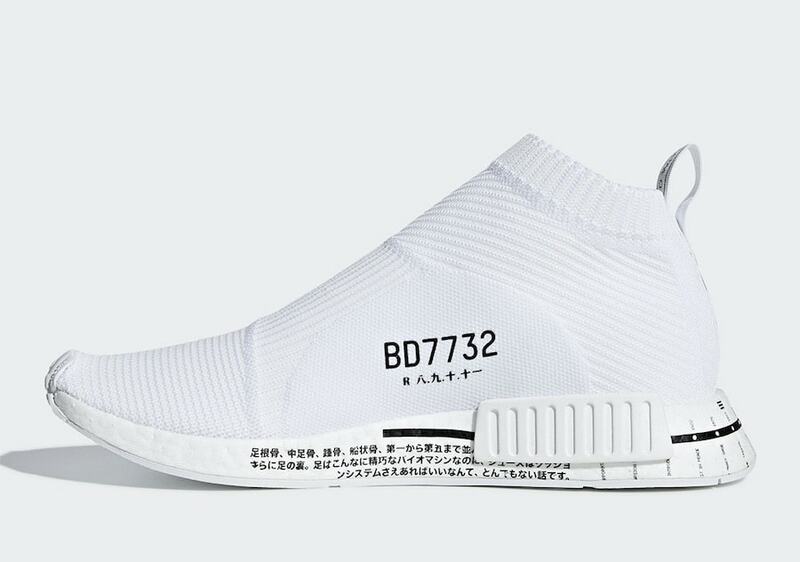 The plain new adidas NMD_CS1 has not yet been announced for release, though they are expected to drop sometime in February 2019. The bold new look will launch from both adidas and select retailers for the standard $180. Check out the official images below for a closer look, and stay tuned to JustFreshKicks for more adidas NMD news. 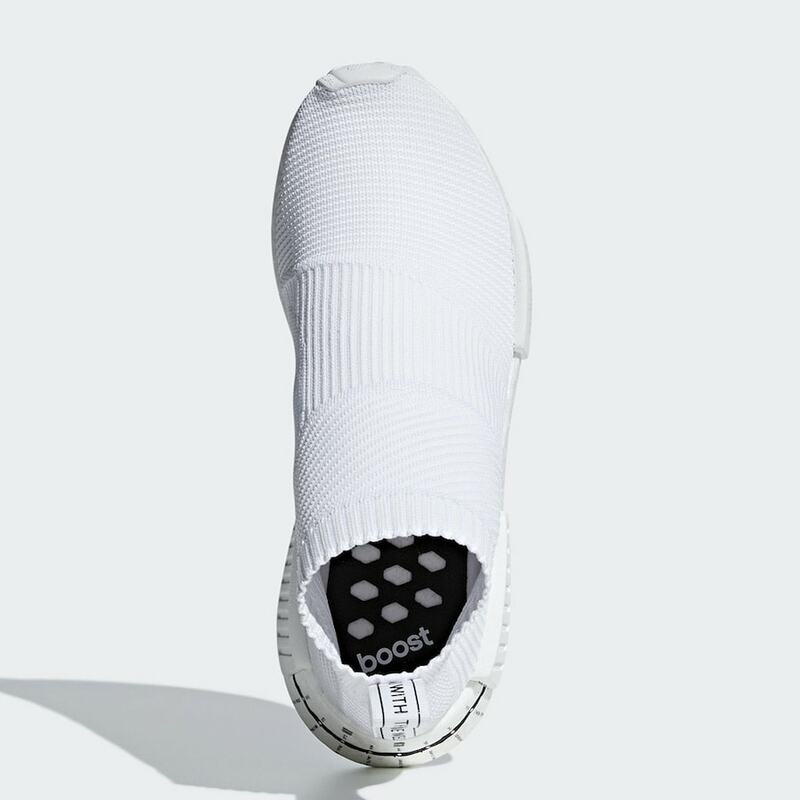 The post adidas’ History-Telling NMD_CS1 Emerges in a New White Color Scheme appeared first on JustFreshKicks.